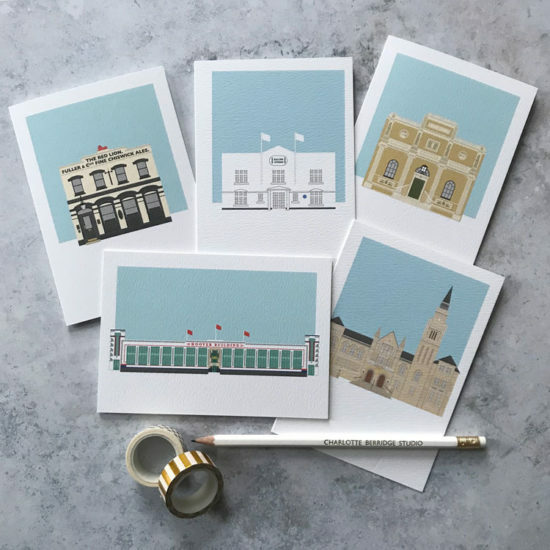 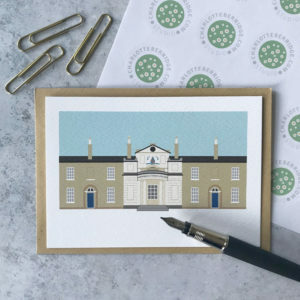 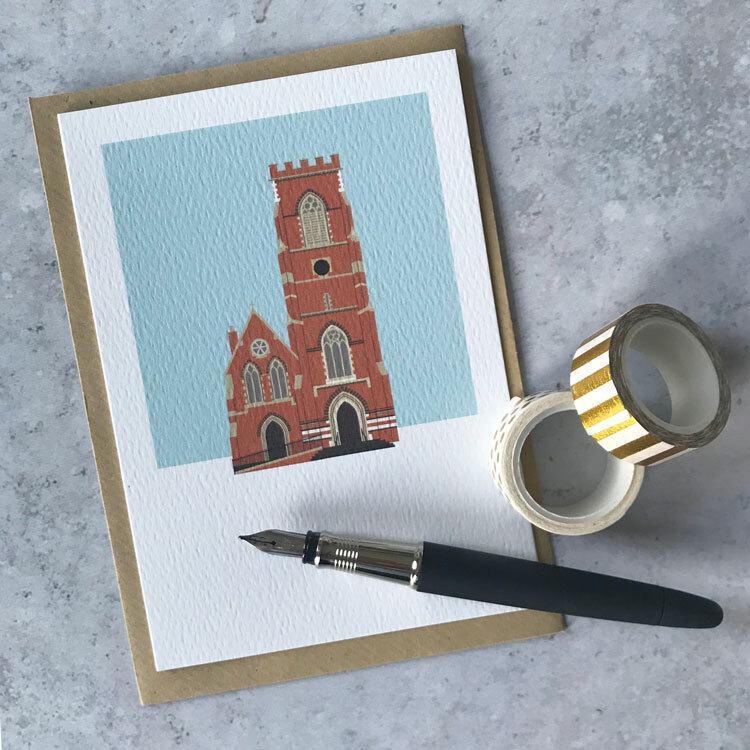 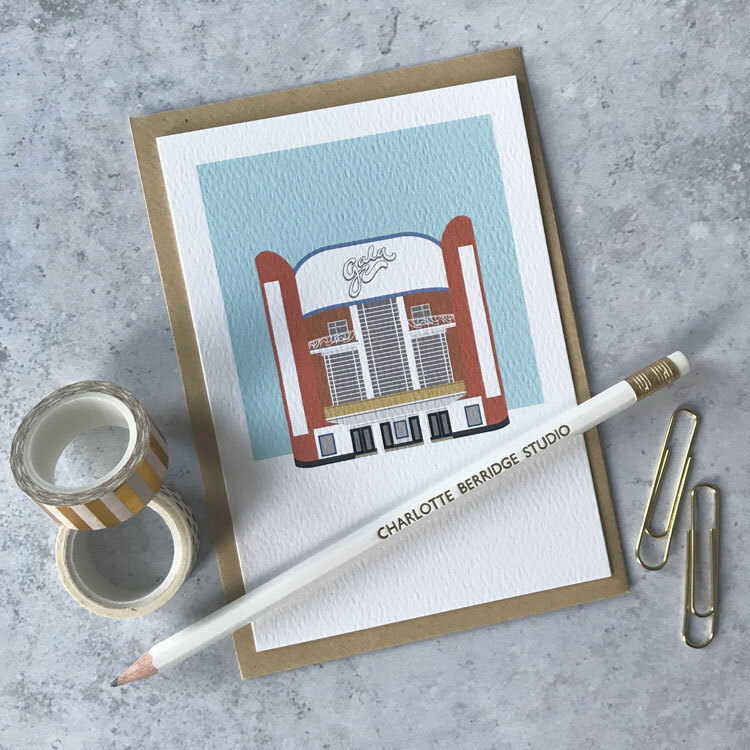 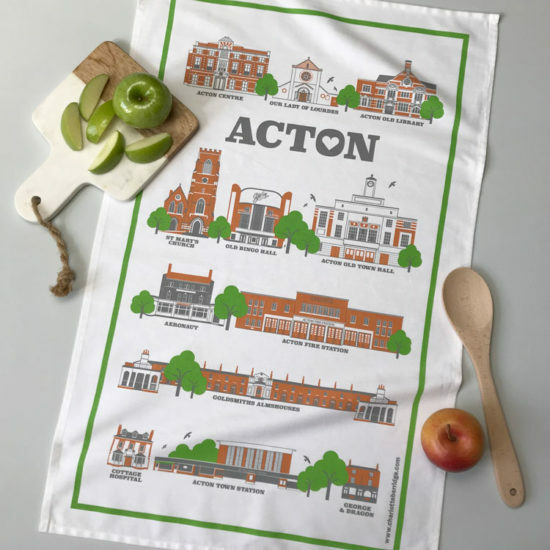 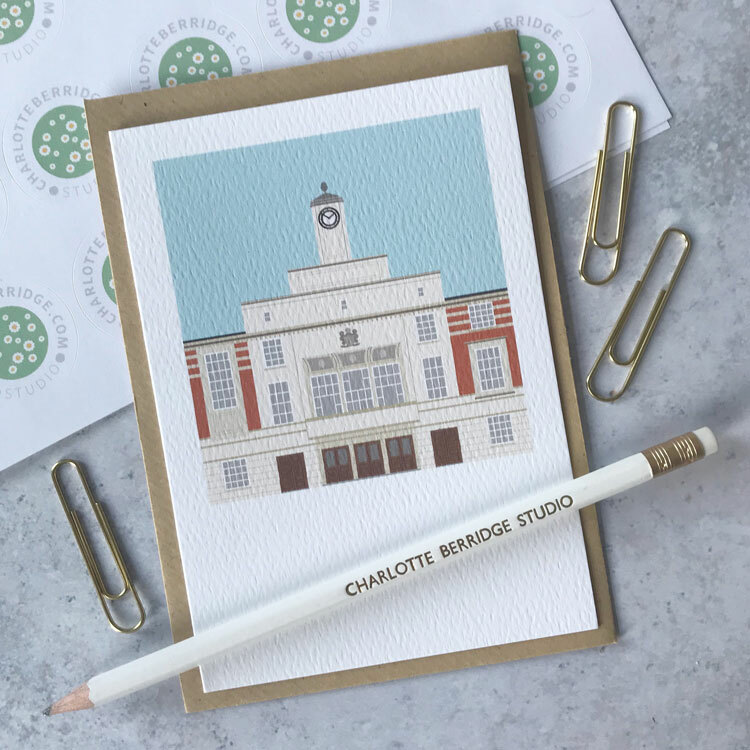 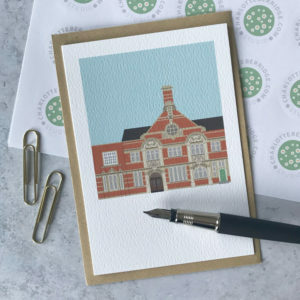 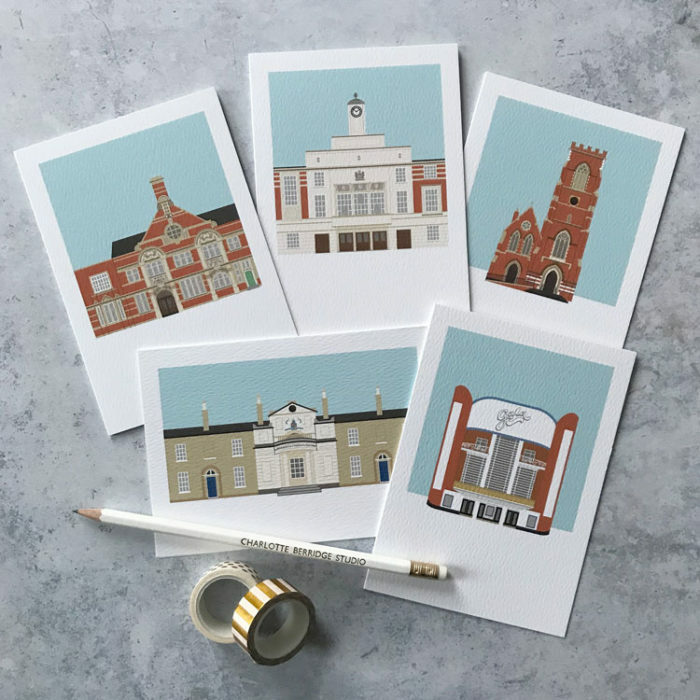 Set of five illustrated cards featuring historic Acton landmarks created exclusively by Charlotte Berridge. 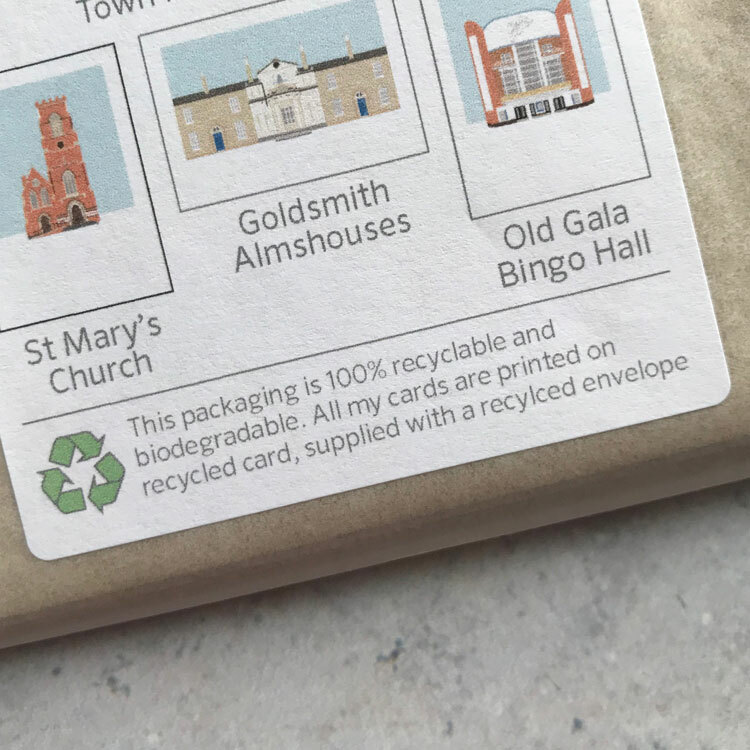 Each pack is carefully hand packaged in a glassine bag, which is 100% recyclable and biodegradable. All my cards are printed on 300gsm recycled card, supplied with a recycled envelope. Each folded card measures approx 105mm wide x 148mm tall. 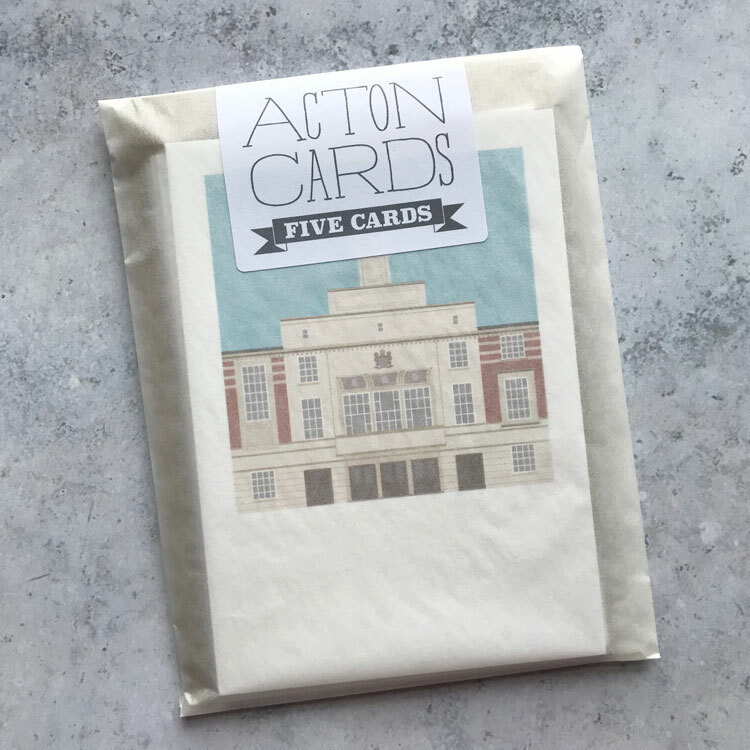 Each pack contains five of my most popular Acton designs. All cards are blank inside for your own message. 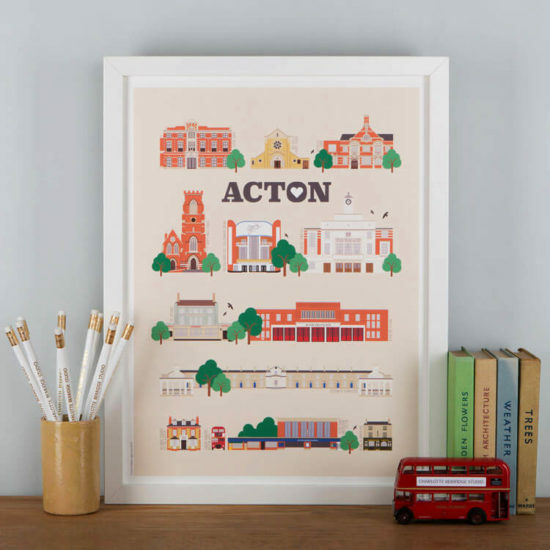 Acton Old Town Hall, St Mary’s Parish Church, Acton Old Library, Goldsmiths Almshouses and Old Gala Bingo Hall.